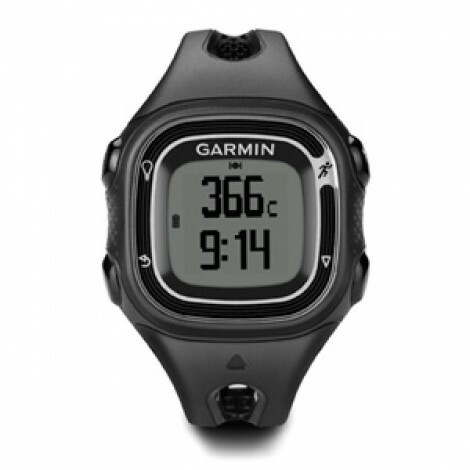 Introducing the Forerunner 10, Garmin's simplest GPS running watch. It accurately tracks how far and how fast you run, and your calories burned, helping you to keep track of your goals. Upload your run to our free online community, Garmin Connect, to see it on a map, get more detail on each mile and share it with friends. Forerunner 10 uses GPS to measure your miles, so you when you upload to Garmin Connect, you can see the path you traveled, anywhere in the world.